With the advancement in technology, Information Technology shifted from a luxury to a necessity. Gone are the days where technology are out of range to a lot of SME companies. Today, technology adaptation is a prerequisite to a successful business and it is our aim to provide you with the necessary support. With more than 9 years of experience in the field, you will get the expertise of a team with only one single aim, to grow your company into a success story. Among the supplies that we provide includes desktop PC, notebook, tablets, printers, printer consumables, projectors among many others. We keep a substantial amount of stock on our side to ensure minimal delivery lead time for our customers and that is our secret of keeping our customer happy. We supply both original and compatible printer consumables such as toners, catridges and ribbons. Brands that we carry includes HP, Canon, Brother, Epson, Fuji Xerox, IBM, Konica Minolta, Lexmark, NEC, OKI, Panasonic, Samsung and Tally. Our company supplies inkjet printer, laser printer and dot matrix printer as well to suit different companies need. Choose from a simple single function printer or an All-In-One printer with print, screen, copy and even wifi function. We also supply electronic and manual typewriter for offices as well. 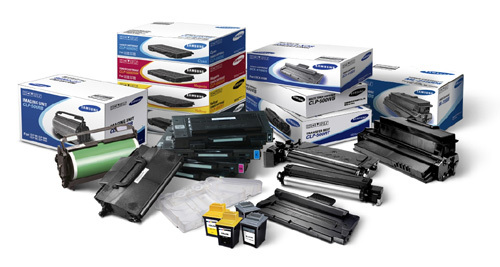 Brands that we carry includes Canon, HP, Samsung, Epson, Fuji Xerox and Brother among many others. If you are looking for hard disk, RAM, processor, motherboards, DVD writers, power supply units, graphic card, sound card, speakers, computer chasis and etc., you are at the right place! We supply all the above and more! Feel free to get in touch with us if you are looking for any computer accessories and we will be more than happy to help! Yes, we carry small items as well such as USB Hubs, card readers, mouses, keyboards, printer cables, mini HDMI cable, converters, network cables, smart phone cables and etc. If you are looking for any of these, we are here to help you! Don’t worry about scratching your scalp off thinking where to get these. We have them right at our outlet! Have an enquiry? Contact us today!